C1 – C4 analysis is a thing of the past, as King Canyon Buffalo has leveraged technology and their 80+ years of experience in the oil industry to completely analyze from C1 to C10. You read that right, the Real Time Geochemistry experts at KCB will find out exactly what’s happening at your well in real time, giving you deep sets of data that you might not have known existed. We’ll come to your well site, setup, and stay during the duration of testing on-site, not just drop off some equipment and let you figure it out. We’re the experts at this for a reason, and our data and findings will speak louder than words. Our services are broken down into six categories of data, from Gas Analysis to Relative Sw findings. 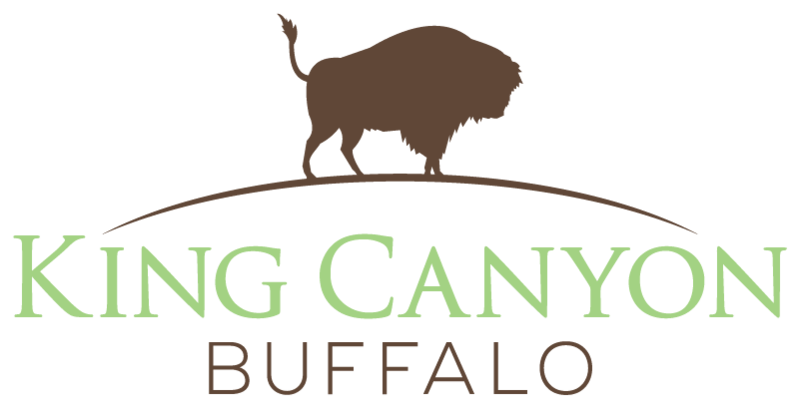 Continue below for further information on what King Canyon Buffalo can provide for your well. C1 – C10 analysis, Parrafin / Naphthene / Aromatic ratios, BTEX compound analysis, relative Sw, BSR vs TSR, maturity, evaluate and map GOR, migration pathways. Gas/Oil contacts via species ratio plots, inorganic to organic ratio plots, Oil/Water contacts via benzene/toluene ratios, benzene/nC6 & benzene/nC7 ratios, sulfur compounds in some systems, hyrogren in some systems. All systems tend toward lowest energy and maximum randomness; they must attain equilibrium if it is physically possible. When differences in chemical composition occur in a wellbore, permeability barriers are the mechanism of disequilibrium. When helium is present, it accumulates in porosity/perm systems and migrates through faults and fracture swarms. Helium is sourced from crystalline basement and granite wash; it is independent from the hydrocarbon accumulations. Therefore it is an independent indicator of porosity. Hyrocarbon type and relative abundance, BTEX analysis, P/N/A ratios and hydrogren combine to map poro/perm systems. Depleted zones have a distinct hydrocarbon signature in that the mobile species are proportionally less abundant than the larger, less mobile species. This relationship is quite easily recognized. Volatile organic compounds (BTEX) are sourced from hydrocarbon accumulations are diffused into adjacent water. The key is volatile in nature and active diffusion from modern hydrocarbons accumulations. At any well in any state, King Canyon Buffalo can deploy our experienced personnel to get the data you need. 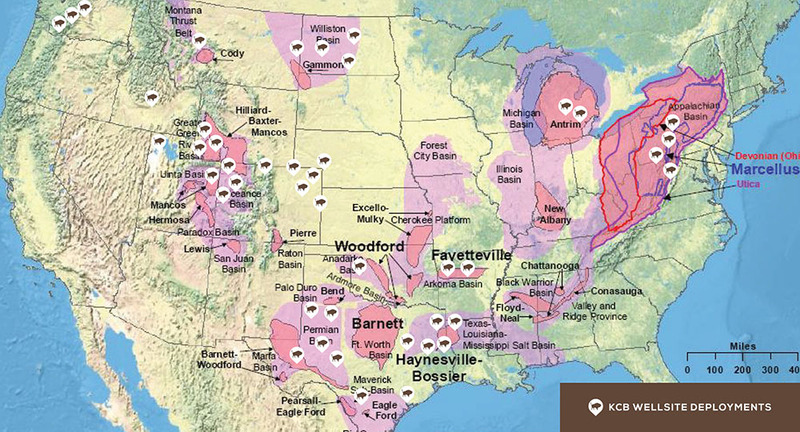 Our 80+ years of experience is apparent in our wellsite deployment map, as we’ve handled all types of terrain and wellsites over the years. See an area of the map missing a deployment marker? Send us a note below to get the conversation started, as it’s never too late for us to get started working together. ©2017 King Canyon Buffalo, Inc. Site by NAD+P.